What a winter that’s been! Cold, cold and far too long! What better way to celebrate the spring than an Easter break to the Indian Ocean — at the kool and stylish Kandima Maldives, where anything is possible. The resort, which sets out to smash the stereotype of the Maldives being just for honeymooners, welcomes guests of all ages, families and groups of mates in need of that tropiKal sunshine and fun Easter vibes! Well they’ve got a sweet Easter Deal that’s just been launched. Breakfast and dinner at Flavour or Zest restaurants for two people. Domestic transfers for two adults and one child. Two children under 12 eat and stay for free! Includes Good Friday Barefoot Beach BBQ for the family. Includes Easter Egg chocolate making class at Azure – one per stay. Includes an afternoon with local artists at the KULA art festival. Includes the Easter Sunday family pool party at Breeze with canapes. All of the above from only £1626 (USD 2,252) for a family of four for four nights in a Sky Studio, with travel period from March 15 to April 15. Alongside the Easter offer, there is a jam-packed schedule of events, including a KULA colour run, a Pretzels, Sausages & Beer beach party, plenty of watersports, diving, snorkelling, cooking classes, an art studio, aerial yoga, fitness classes, a 24/7 gym and of course, you can chill at the heavenly esKape spa! Meet the Kandima Easter Bunny! 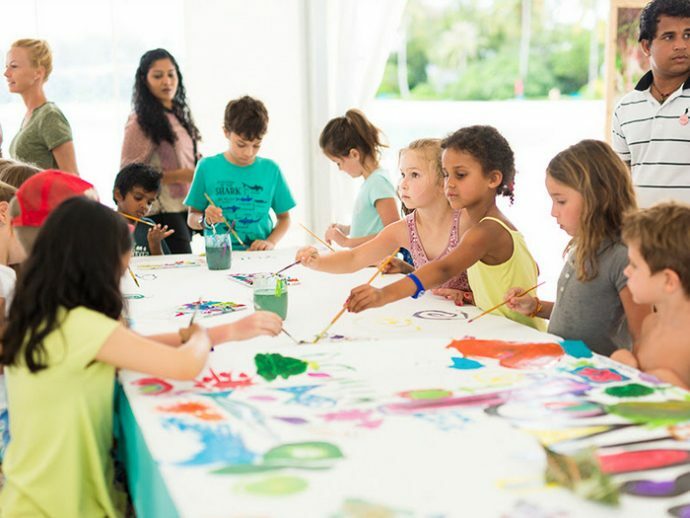 Did you know that Kandima has the largest Kid’s Club in the Maldives?! So, it goes without saying that there’ll be heaps for the kids to do at Kandiland this Easter. They can make Easter baskets, egg piñatas, take part in the Easter disco, karoake, Art Attack, water games, mini olympics & movie nights. There’ll also be an opportunity for them to follow da bunny and have a photo session with the rabbit himself! Kids can also enjoy hermit crab races, bonfire and marshmallows, mocktail classes, Easter cupcake lessons and games of egg catching. And no Easter holiday would be complete without a family Easter Egg Hunt around a tropical island! For those who want a quieter Easter, there is an in-room dining service and you can chill to your heart’s content in the awesome esKape spa. Kandima is known for its playful spirit and fun and kool atmosphere and that’s going to be at the heart of the island’s Easter celebrations. After the huge success of Kandima’s KULA Art Festival and Colour Run over Christmas, the second event is taking place again this Easter! 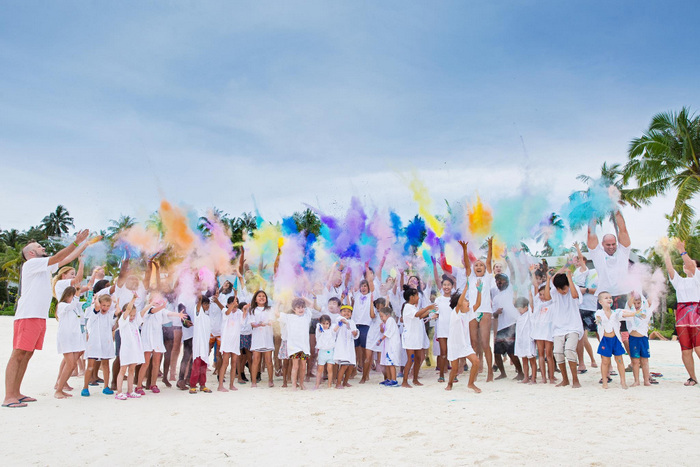 With artists from all over the Maldives, amazing games and arts and crafts for children and families and the massively popular Colour Run, this will be the highlight of any guests holiday to Kandima, no matter what age you are!